With very cold weather on the way in the next few days, the NHS in Leeds is advising people with asthma how they can breathe more easily by following some simple steps. Around 5.4 million people in the UK have the condition, and research by Asthma UK shows that around 75% of them saw their symptoms triggered by cold air and 90% reported that having a cold or flu made their asthma worse. “Winter can be a difficult time of year for people with asthma. This is often due to breathing cold air, picking up colds and flu, or even breathing in fumes from a wood or coal fire, all of which can affect the respiratory system. The local NHS is reminding people with asthma to follow the advice below. 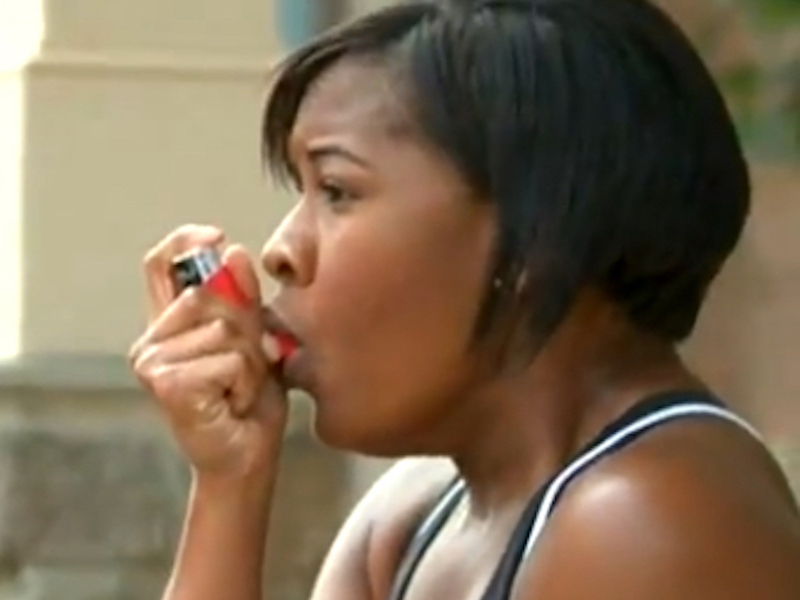 Using your preventer inhaler as prescribed soothes your airways so they’re less sensitive. Always carry your reliever inhaler with you in case you need it in an emergency. If cold air triggers your asthma or if you’re about to exercise outside, take one or two puffs of your reliever inhaler before going out. Using your inhaler properly is important. A free inhaler check service is now available at 50 community pharmacies in Leeds – ask for details or talk to your doctor or asthma nurse. People with asthma are at high risk of suffering the effects of flu, so if you haven’t had your flu jab yet, ask at your GP practice. Keep warm and wear a scarf over your nose and mouth to help warm up the air before you breathe it in. Breathing through your nose will also help warm up the air before it reaches your lungs. People whose asthma is well-controlled are less likely to have problems during cold weather. By having a regular asthma review with a GP or asthma nurse and following a personal asthma action plan, people can take greater control of their condition. PREVIOUS POST Previous post: Looking for a career in care?